This battery has been Discontinued by the Manufacturer. Currently Recommending the Universal hYTX16BHL Harley Version that is the same dimensions with a higher CCA. YTX16BL High performance battery by Scorpion. These are no ordinary replacement batteries, but a true high performance AGM battery that is designed to meet and even surpass the standards set by your vehicle’s OEM manufacturer. 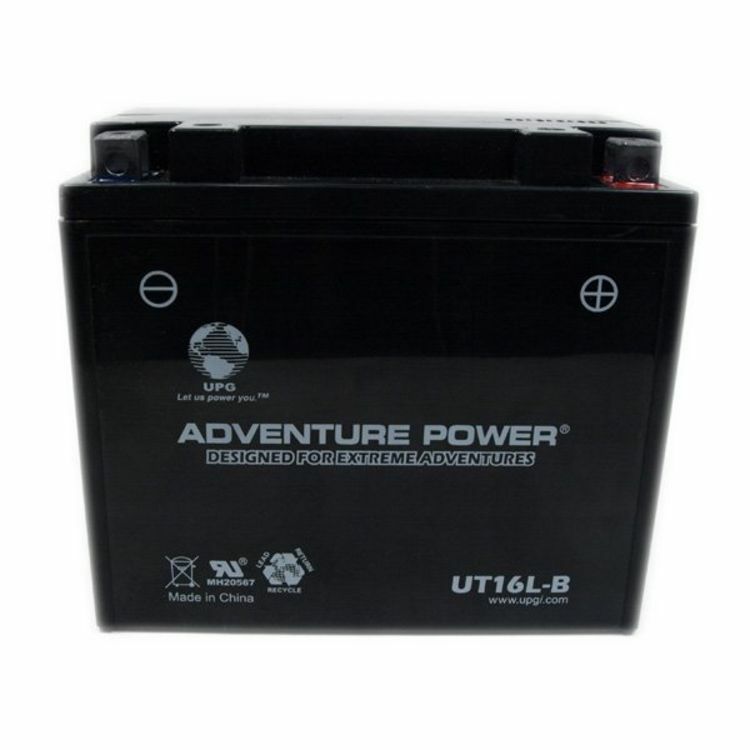 Be assured that with the YT16BL 12 Volt AGM Maintenance Free Scorpion battery you are buying quality, at an affordable price. Scorpion recognizes that batteries are made of lead, not gold. With that in mind, Scorpion has struck a fine balance between a high quality product and a decent price. You will be impressed with the YT16BL 12 Volt AGM Maintenance Free battery! All Scorpion batteries meet or exceed the specs called for by your powersports manufacturer! Do you own the sYT16BL? Please, tell us what you think about it. It helps us provide you with better products. Please note that it may take up to 72 hours for your review to appear.